Flexible organization tool that combines the best of notes, tabs and flags in one. Durable film material with a paper tab overlay. Writable on both tab and body surfaces. Turns pages like a divider for easy reference. Flexible organization tool that combines the best of notes, tabs and flags in one. 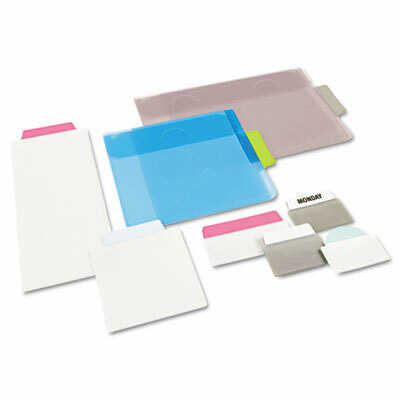 Durable film material with a paper tab overlay. Writable on both tab and body surfaces. See-through and repositionable. Turns pages like a divider for easy reference.